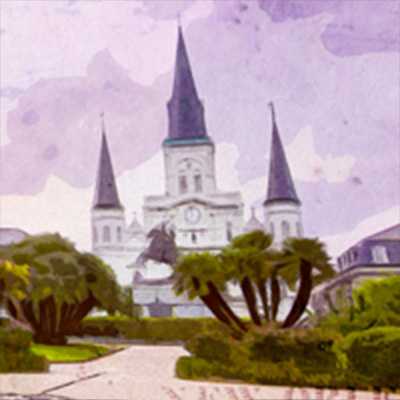 Join a pilgrimage to the tomb of famed New Orleans Voodoo Queen Marie Laveau! With recent rules allowing only licensed tours into St. Louis Cemetery #1, we added this special tour so that HexFest participants could be sure to visit the final resting place of New Orleans' most venerated spiritual leader. Explore the history and mystery of Congo Square, where Voodoo dances gave birth to the magic of jazz. Visit a church veiled in Voodoo secrets, featuring a statue of Saint Expedite and the world's tallest statue of St. Jude. Finally, end your tour at St. Louis Cemetery #1, where you'll pay homage one of history's most magical priestesses, the enigmatic and empowering Voodoo Queen Marie Laveau! Click here to register for HexFest 2019!